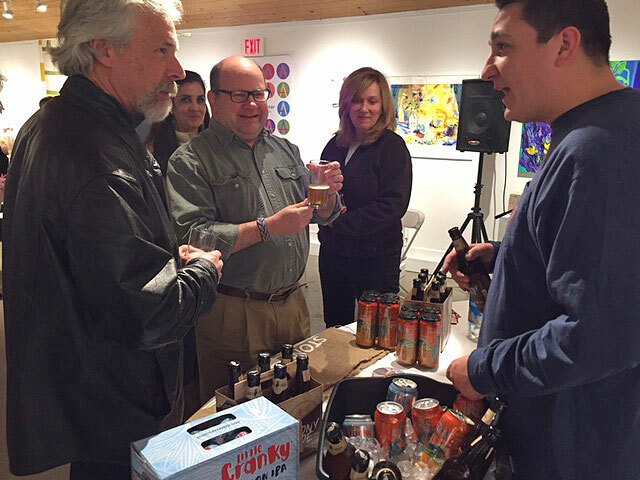 Sample some of Connecticut’s best craft brews and spirits at Guilford Art Center’s Craft Beer & Spirits event, scheduled for Friday, March 8 from 6-8:30pm at Guilford Art Center. 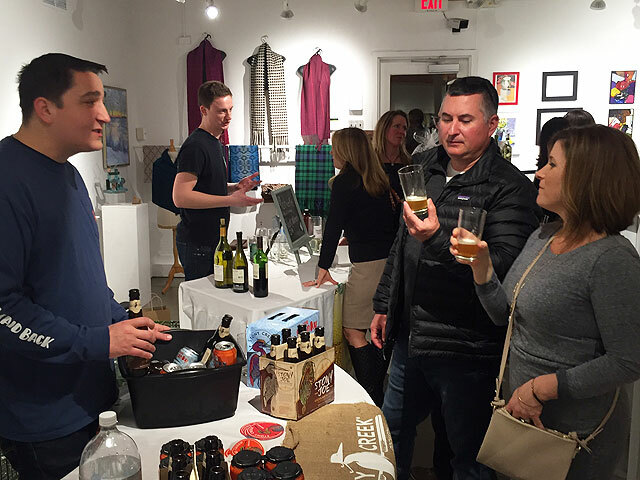 Guests are invited to try a selection of beers from CT-based breweries, including Stony Creek Brewery, Thimble Island Brewing Company, 30 Mile Brewing Co. and Two Roads Brewing Company, as well as whiskeys and vodkas from Litchfield Distillery and Asylum Distillery. There will be live music and “bar bites” food. Wine and non-alcoholic beverages also will be served. Live music will be performed by local band One & Done. Additionally, there will be a silent auction and art exhibit on view in the gallery featuring work by GAC faculty. The GAC blacksmiths will be conducting live demonstrations in the blacksmith forge. 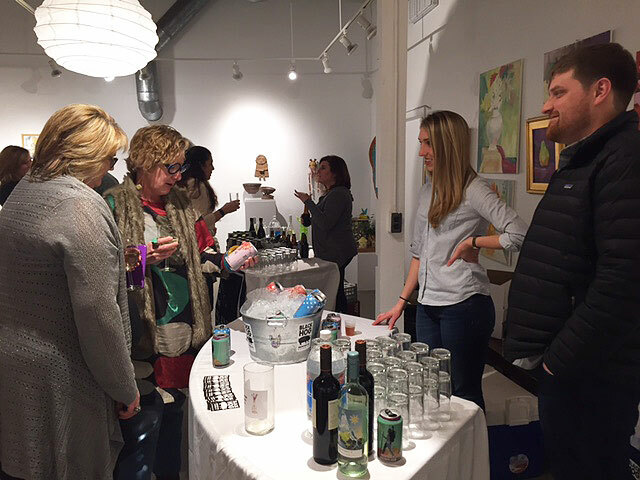 “This event will be a really fun, relaxed evening that allows people to enjoy some great drink, food, live music and exhibits, while supporting the arts. 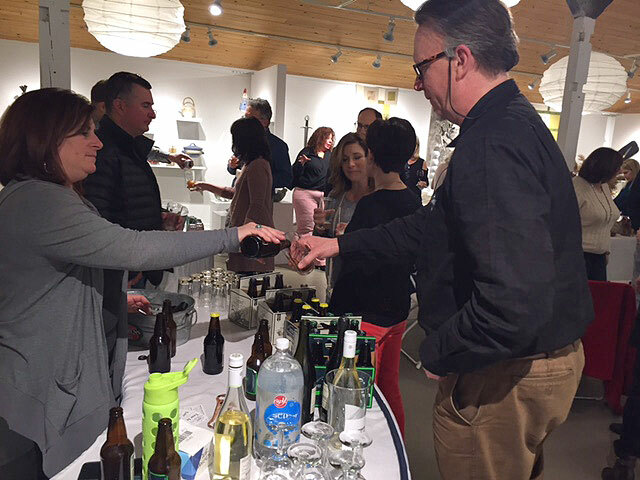 We’re excited to host all of the great local breweries and distilleries, and so appreciate their support of this event” says Guilford Art Center Executive Director, Maureen Belden. 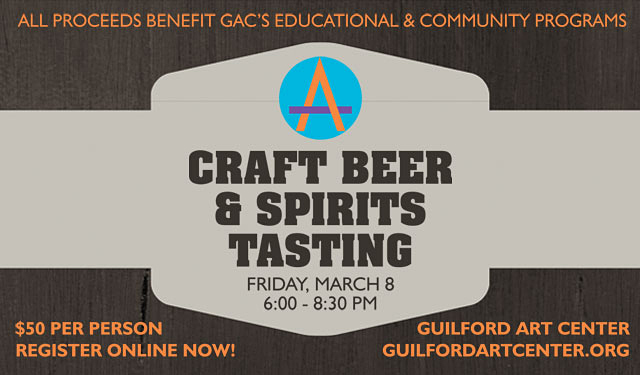 Reservations are $50 per person, with proceeds to benefit Guilford Art Center’s educational and community programs. Reservations are limited; call to make a reservation: 203-453-5947 or pay for reservations online HERE.